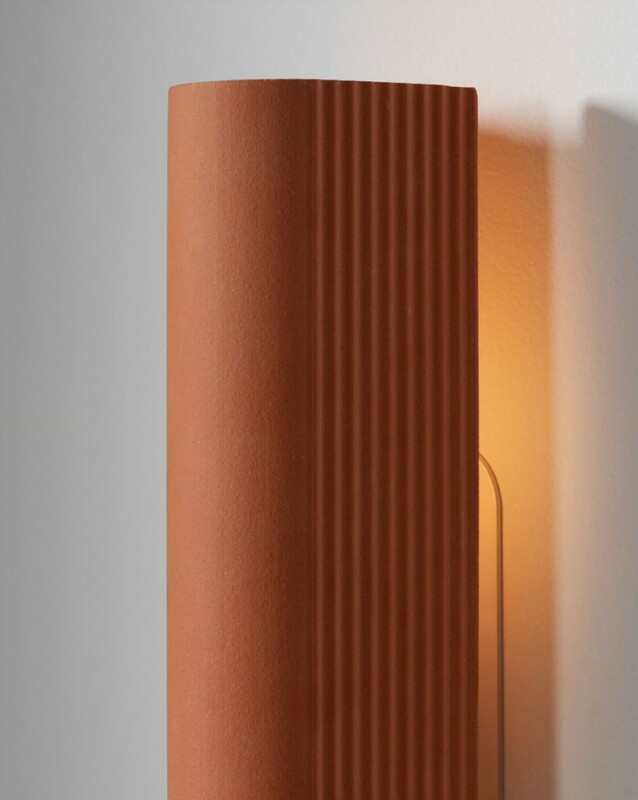 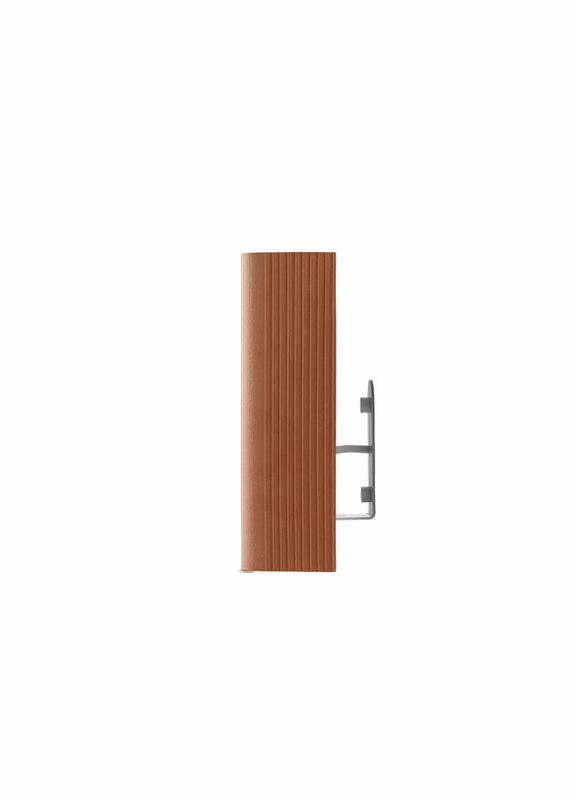 available in: Terracotta – Enquire for custom finishes. 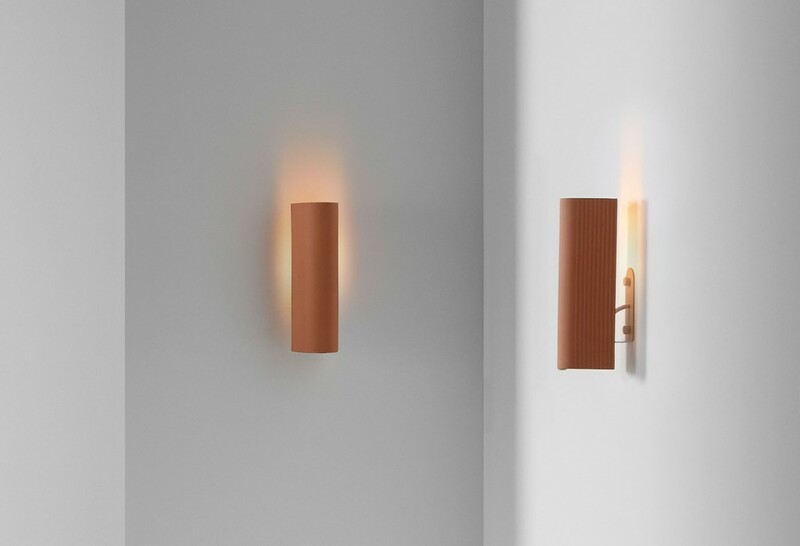 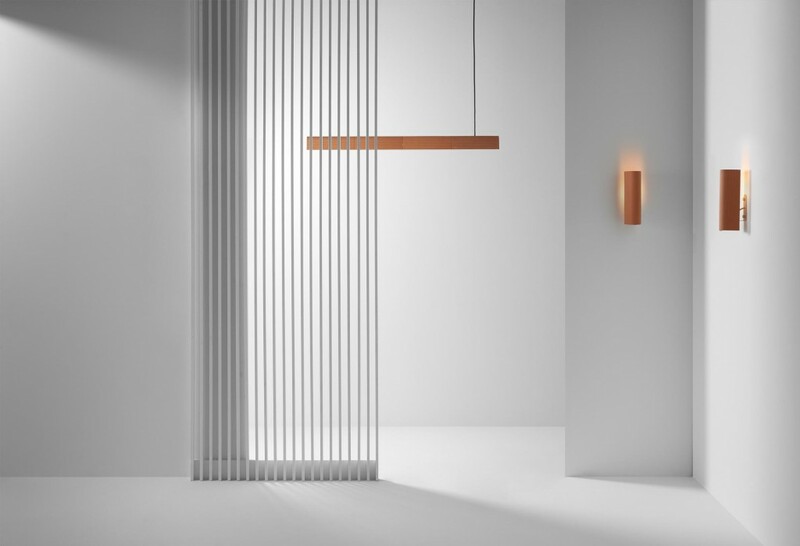 Through its simplicity, the Tile wall light enhances the finer hand-crafted details of each individual Tile. 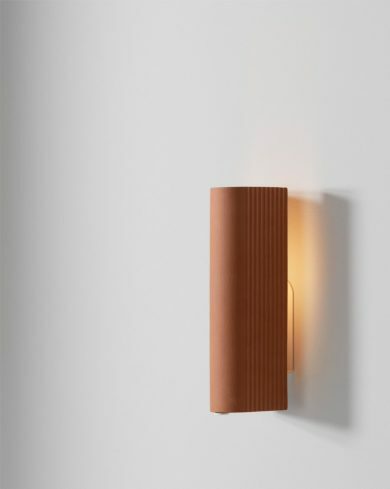 The understated wall bracket fixes the Tile in place, and a warm glow emits from the hidden light inside.